At this year’s Adobe Summit, roughly 20,000 business professionals came together to learn how to better position themselves for digital transformation that will enable them to provide genuine, seamless customer experiences. During the opening keynote, Adobe CEO Shantanu Narayen shared his company’s story about transforming into the multi-billion-dollar cloud technology company that it is today. One of the key takeaways of that transformation was how technology is accelerating the convergence of B2B and B2C within the marketplace, leading to a deeper focus on customer relationships and experience. This led to a conversation with Adobe’s SVP of Marketo Steve Lucas, former CEO of Marketo prior to its acquisition in September 2018. Narayen continued to describe how early conversations with Marketo led to the conclusion that the lines between B2B and B2C are becoming ever more blurred. Lucas went on to describe how many of today’s technological advances came from the ongoing changes in terms of customer expectations. He highlighted two notable services companies — Uber and Airbnb — which turned the experience into their overall go-to-market strategy. Lucas highlighted another example between two notable music festival producers further detailing the growing importance of experience in buying journeys. Ultimately, positioning marketing teams to offer unique experiences in the B2B marketplace is table stakes in a world where customers have complete control in their buying journey. In line with Adobe’s announcement of a deeper partnership with Microsoft, the company continued the conversation on digital transformation with Microsoft CEO Satya Nadella. When asked about how Microsoft is promoting digital transformation internally, he highlighted the importance of having the appropriate learning culture within the organization to drive that change for the greater good of their customers. Nadella also highlighted the importance of being willing to take bigger leaps in innovation to drive that transformation from an experience standpoint, as well as a product standpoint. Even with the idea of customer centricity and flexibility in mind, Nadella reiterated that it is difficult to continuously predict buyer behavior and completely understand customer expectations. He concluded by sharing his idea of the “No Regrets Rule,” which is designed to create a more experimental mindset within the organization to make hypotheses of buyer needs and expectations and not be afraid to disprove them. One of the other major trends at this year’s event was the growing role of marketing operations within the underlying structure of the marketing organization — and ultimately how it helps businesses provide frictionless customer experiences. 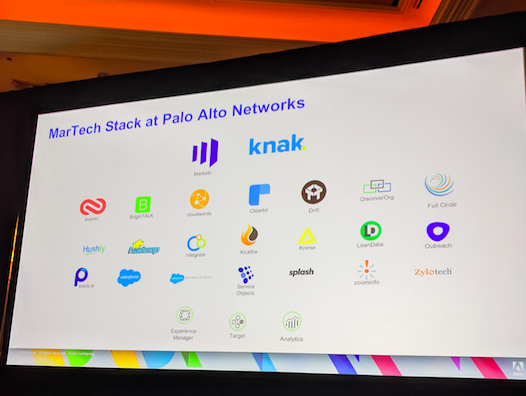 Palo Alto Networks, which won a Revvie award for “Marketing Team of the Year,” shared how they created a process framework to provide the right content and experiences through predictive strategies. 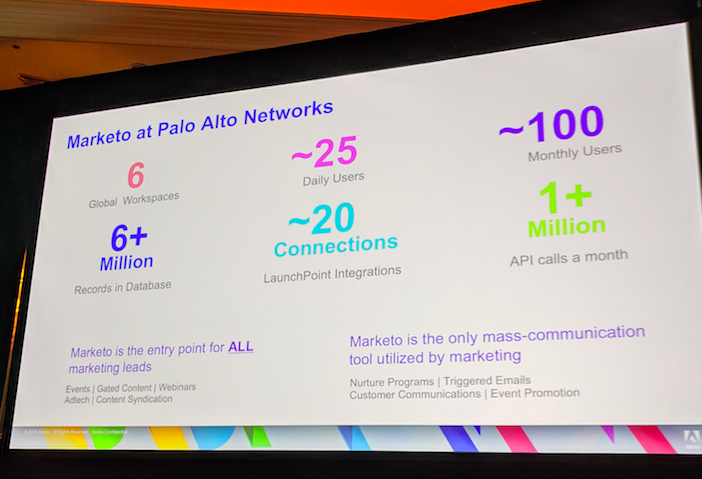 By incorporating a predictive layer into their operations process that requires the stakeholder of the campaign, as well as the campaign and data science teams to understand who they are targeting, how they will be engaged and with what content, Palo Alto Networks was able to better engage its target audience through a variety of channels, including email and the website. 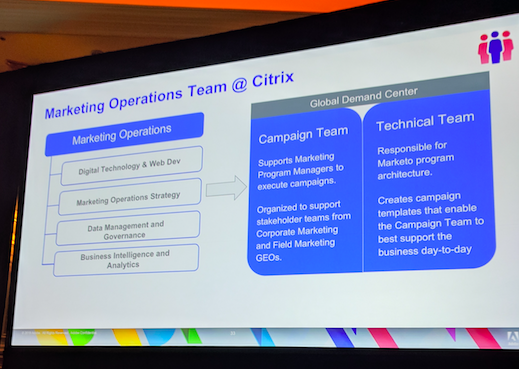 Citrix also took the stage to share its transformation in setting up a marketing operations framework that enables its team to engage prospects effectively at scale. 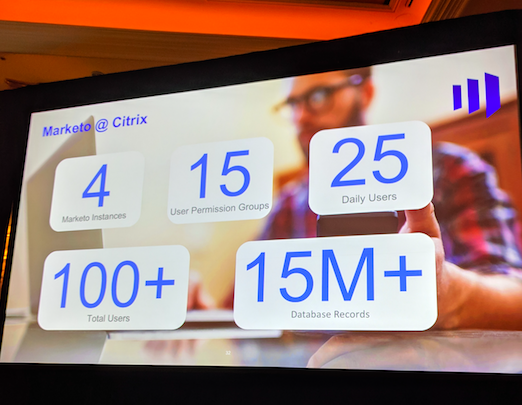 During a session with Ryan O'Shea, Manager for the Global Demand Center at Citrix, he shared how aggregating four separate Marketo instances through various acquisitions required the team to set up 15 different permission groups in Marketo to ensure they aren’t preventing growth while maximizing productivity amongst its marketing teams. O’Shea concluded that the key to formulating that framework is understanding your customer and how they engage, then leveraging that to form the process. Lucas also discussed the growing importance of “account-based experiences” within the B2B marketplace, highlighting that the experience should not end at the individual stakeholder, but permeate across the entire buying team. According to the company, Adobe is positioning itself to better enable its users to address these challenges — specifically the data hurdles — through new and extended partnerships. This includes a new partnership with LinkedIn, which positions B2B marketers to better target, orchestrate, deliver content and measure engagement on the professional social network. A deeper partnership with Microsoft also aligns key data sources within Adobe Experience Cloud for a holistic view of customer engagement. The company also announced new integrations with Demandbase and LiveRamp, both major players in the account identification and AdTech space that can further help B2B businesses target, engage and offer customer experiences across the buying journey to the entire buying committee.